Where Can I Download Windows Vista? Have you lost your original Windows Vista DVD or need Windows Vista on a flash drive and figure downloading it as an ISO image is the way to go? If you're without the installation files for Windows Vista and you need to get your hands on them, downloading certainly makes sense...but think again. Unfortunately, there isn't a single, completely legal way to download Windows Vista. 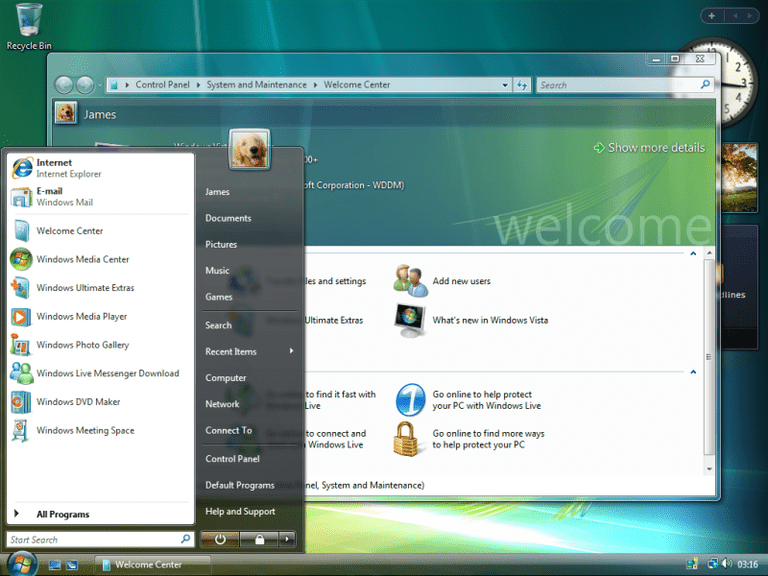 The Windows Vista operating system was never sold online from Microsoft, nor from other legitimate retailers. Online distribution of Windows didn't start until Windows 7 and, of course, continues today through Windows 10. In fact, good luck finding even a boxed copy of Windows Vista. You might find a few folks selling Vista on Amazon but there isn't usually any kind of regular stock. The here-and-there copies of Windows Vista you might find for sale from sites you've never heard of are probably selling illegal copies alongside fake or stolen product keys. A number of copies of Windows Vista in ISO format exist floating around various torrent directories, all easy to grab with a free torrent client. Unfortunately, you never know which one of these Vista torrent downloads are hacked, full of malware and other issues you don't want to deal with. We don't recommend that you download Windows Vista via a torrent. One site, GetIntoPC.com, hosts both 64-bit and 32-bit versions of Windows Vista in ISO format, ready to download:​ Windows Vista Home Premium Free Download ISO 32-Bit 64-Bit. As far as we can tell, these are clean (malware-free), perfect ISO images of those two editions of Windows Vista Home Premium. It's doubtful that Microsoft has explicitly condoned the hosting of those Windows Vista downloads, but they probably don't care that much, either. You'll still need a valid product key to install it, which is really what you're paying for when you pay for a version of Windows. Another option, if the ideas above don't sound appetizing (we agree), is to request a replacement of your Windows Vista DVD from either Microsoft or your computer maker. If you bought a boxed copy of Windows Vista yourself, like from a store in town or an online retailer, you might have luck requesting a replacement disc directly from Microsoft. Contact the Microsoft Supplemental Parts Team and explain your situation to them. If you bought your computer with Windows Vista pre-installed on it, you'll need to contact your computer maker directly for a replacement Vista DVD, or at least a Restore Disc. Have these details ready before calling: your purchase date, your Vista product key (probably located on a sticker on your computer), and any other information you have about your computer. Last, but not least, if you actually do have your Windows Vista installation DVD but are just interested in getting that onto a flash drive so you can install Vista on a computer that way, please know that you don't have to download Vista to do this. See How to Install Windows 7 From USB for help. Yes, the process works for Windows Vista, too.